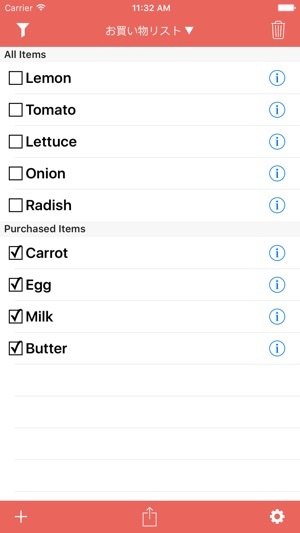 Simple yet powerful shopping list app. 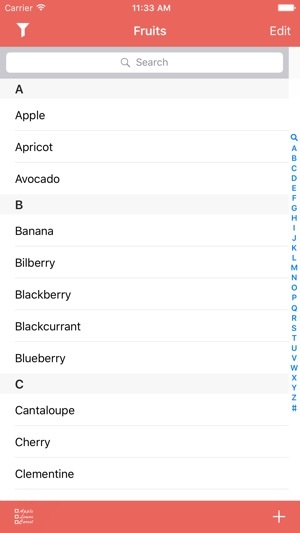 Multiple shopping lists. 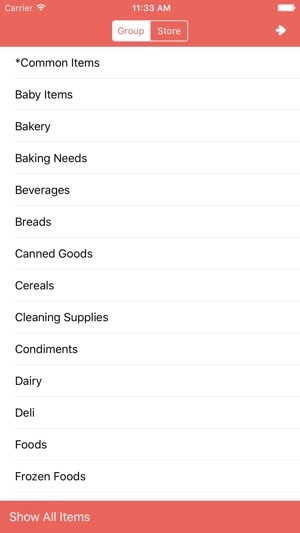 Items can be filtered by groups and stores, multiple group & store tags can be assigned on every single items. 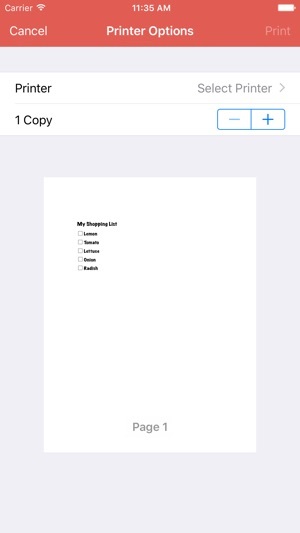 Your shopping list can be emailed, texted and printed out. 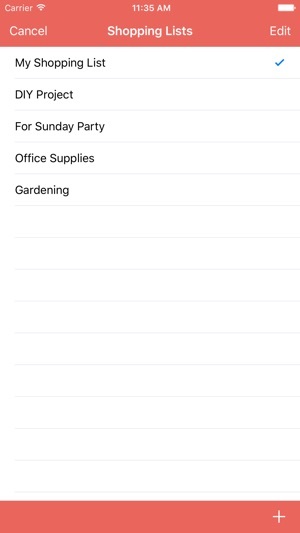 It also support Dropbox sync. 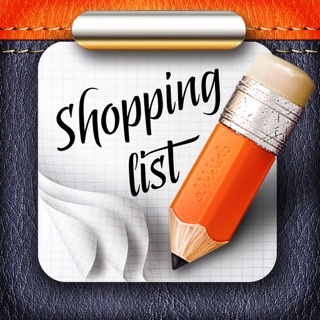 I have found this list app the best for our use and appreciate that it is comprehensive in item selection yet flexible in enabling other items to be added as needed.